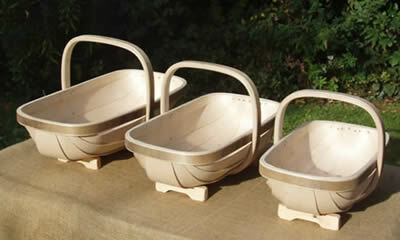 Click here to find out more about these quite beautiful trugs. 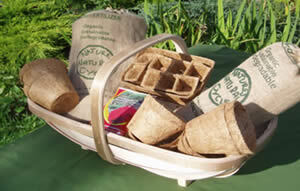 Or how about giving a gardener a present of an eco friendly 'grow bag' - our Garden Hamper. 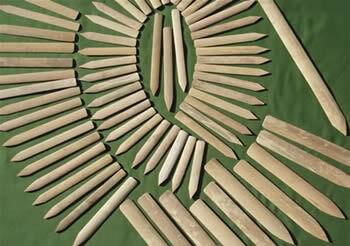 If you wanted a rake specially made, perhaps as a present for a special gardener, again please drop me a line. I'll see what can be done, they're wood workers through and through, and really happy to listen. Can you think of a present of such wonderful craftsmanship, a present that your special gardener would never dream of receiving, or that will give them such pleasure ? A plaque by Karen Edwards. 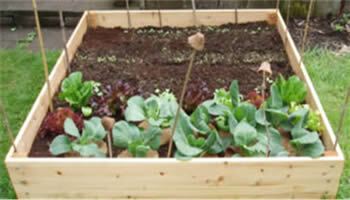 See what you think of our raised beds, I have two in the garden that I keep for veggies. This is a Hazel, the quickest growing 'Truffle' tree we have. A really welcome gardener's gift ! Would it be a help if we suggested some gift ideas for a gardener ? Well, I can't hear you so I'm going to anyway, 'cos gardeners ( and I'm one) like getting gifts ! 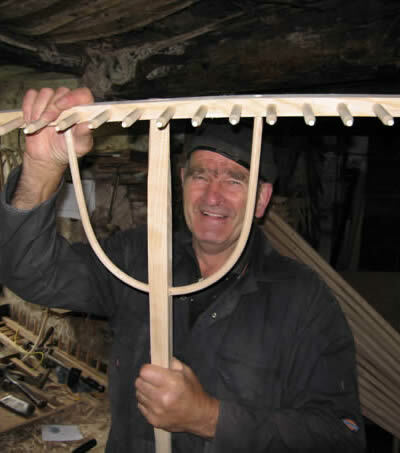 How about a hand made 'Sussex' trug ? I really don't know any gardener who would not love one of these. Yep, they'd love one, but would never think of buying one themselves ! Can you think of a better gardener's present ? I'm a very simple soul, with very few rules while gardening. 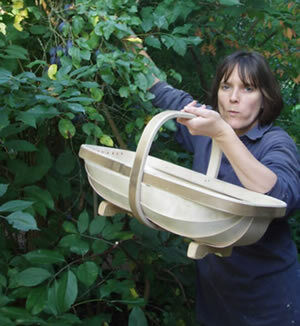 When I'm picking fruit one guideline I tend to follow is " One for the trug, one for me, then........one for me"
Do you know another thing that everybody I know who has bought one is so really, really pleased with - and would make a really lovely gardener's gift ? 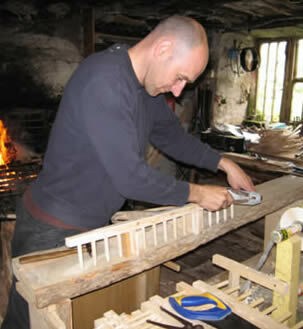 Country craftsmen like John have been making things in his workshop for nearly 400 years ! Now he and his son Graeme are the last people in the country making the Hay Rakes that were once used on every meadow in the land. Can you think of a better present for a gardener? If you know a gardener with a Japanese garden, then we have just the rake for their present. Also, do you have a budding gardener in the family (O.K. that is a pun - it must be catching) then we have just the right size hay rake for them. It's just a little smaller than the 'Zen' rake for the Japanese gardener. If only we had had some sunshine I'd show you photos - but just drop me a line for some more info. What makes a lovely present for a gardener, or for anyone really ? Well I think it's something that gives real pleasure, makes someone really pleased. But something they may not of bought themselves ! 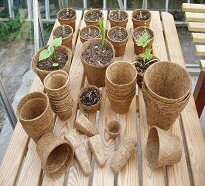 Well hopefully we've already given you a few ideas, but here's a great gardening gift - or rather gift for the garden. 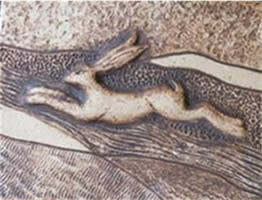 A plaque by Karen Edwards. 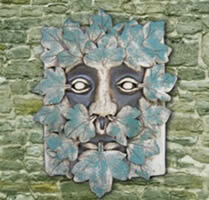 She takes over three weeks to so carefully, and so skilfully produce each garden plaque. Each layer, each detail, each leaf is hand crafted to make a plaque that by that very handcrafting will make one a unique* gift. * Alright, alright I know I sound like a Radio 1 DJ with their 'fantastics' and 'wonderfuls' and 'incredibles' when I keep saying 'unique'. But each one of these handmade gardening gifts have been handcrafted to be present that really is unique, even if you buy two together, they never will be exactly the same. What else can I suggest ? Well yes, I think I can. 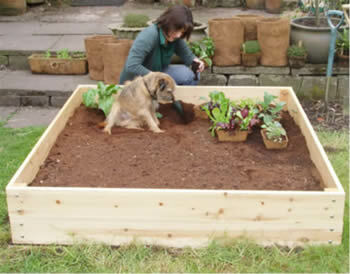 How about a raised bed ? These are made for us by the people of Widemarsh Workshop. It will take about 30 minutes to bolt together, slap on the 'Lifetime Wood Treatment' we send with it, then it's already to go. Really hesitate to suggest these totally hand crafted and quite lovely ( and warm) tweed jackets as presents. Mainly because I could never afford to to give one as a present ! Every part of these jackets is from Islay. The hand loomed tweed, the buttons, the chamois, the hand stitching everything is sustainably sourced and lovingly crafted by a co-operative on the Island. 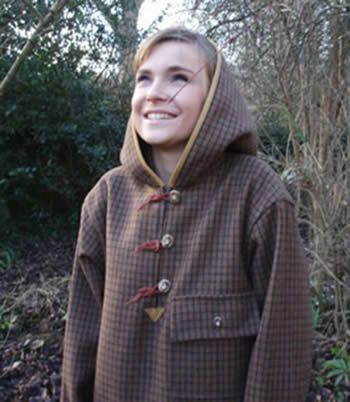 Probably too nice to actually garden in, these jackets and smocks would make gardener's gift that will last a lifetime. Oh, they are for men gardeners too ! Ever had a truffle ? They take a few years to grow and nature is not exactly generous in spreading them around. But we have a cunning plan, a plan which would give a wonderful gift for a gardener. Trees inoculated with Truffle spores. Now there's a thought ! They come in bare root form, so your gardener can nurture them to maturity. 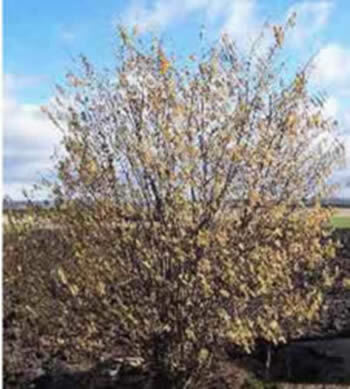 We have Hazel, English Oak or Quercus Oak trees. Truffles could form within 4- 5 years. 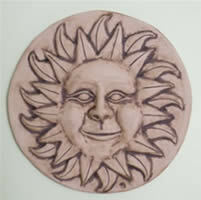 Would you like something to hang on the tree as a gardener's gift ? Well how about some handmade plant labels ? These are made for us by ladies in Indonesia and for every bamboo tree used at least one other is planted. They come in packs of 20, and can certainly be re-used. Here's another gardening present for the tree. And it's a gardener's gift every gardener will love. 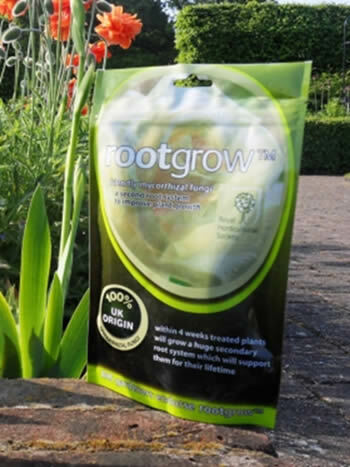 It's an age old fungi that hugely improves the root system of nearly any plant. I was so amazed at the results as I'm sure any other gardener would be too. You probably know how I go on (.... and on) about how we need to help the bees. 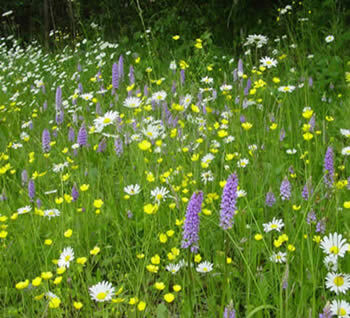 Well how about giving a small wildflower garden to your gardener ? Mycorrhiza could help here as well. A pack of each will still fit on the tree.